We are preparing at rehearsals for a lovely evening soon, in which we will remember our deceased members from Cavan Singers. We will have readings, prayers and hymns at a service with Fr Kevin Donohoe (Adm) in St Clare's Chapel at 7pm on Saturday March 8th. 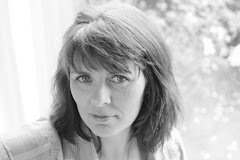 Then we will share supper and some music in The Farnham Arms Hotel in Cavan. Here we are in one of the happy times we wish to celebrate - competing at the Sligo Choral festival with Winnie Hughes (former Director, RIP) and Josie Coyle (alto, RIP)...thanks to Rachael Elliot (alto) for the photograph. 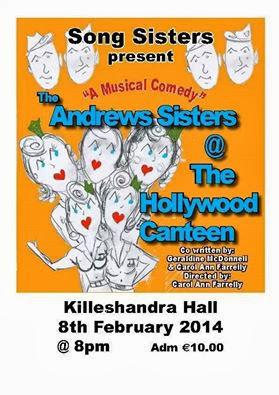 Eileen Tackney, our accompanist, and her group the Song Sisters, are performing their current show "The Andrews Sisters at the Hollywood Canteen" in Killeshandra on February 8th. A show not to be missed!